Soaring Eagle Casino and Resort is one of two casinos owned by the Saginaw Chippewa Indian Tribe. The other is Saganing Eagle's Landing Casino in Standish, Michigan. High Stakes Area - 125 slots and 7 table games. Soaring Eagle Waterpark is a 33,000 sq-ft indoor waterpark. Green Suites is being remodled and rebranded as The Retreat at Soaring Eagle. Soaring Eagle Casino & Resort has been undergoing a renovation project. It is estimated to be completed this Fall. 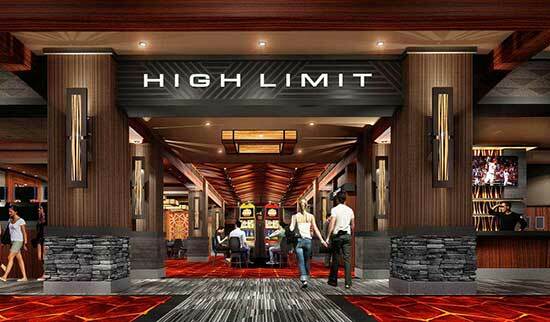 When finished there will be a new VIP lounge, a night club, and a new gaming area for high limit betting. 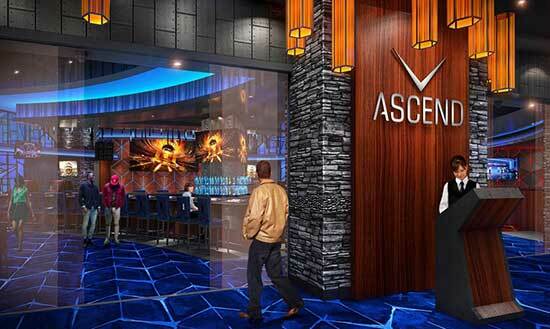 On August 31, VIP's will be invited to the opening of ASCEND. It is the new sports bar and night club. On September 02, the entertainment venue is expected to open officially. 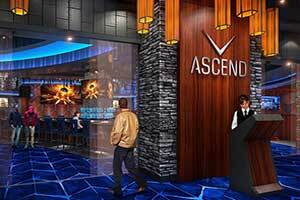 ASCEND will have live music and comedy shows. On the weekends there will be nationally known performers. During football games there will be Watch and Win events hosted there. The menu will offer wings and brisket nachos. Sandwiches, hamburgers, and salads. A new poker room, VIP lounge, high limit gaming area, a play area for children and arcade, improvements to the entertainment hall are other projects the casino is undergoing. The new poker room was the first to be completed and opened to the public. The room offers new game tables and seating. As well as cell phone USB ports. During certain promotions and tournaments players can receive free appetizers. The project will cost $26.5 million to complete. This is the largest renovation project that the casino has had. Soaring Eagle Casino & Resort was opened in 1997. In 2011 the casino underwent a major renovation. At that time the building was expanded to provide space for Legends Diner. There was also a rebranding of the previous Firefly Buffet into the Aurora Buffet. The casino is the largest employer in Isabella County. There are over 2,500 people that work there. The first phase of the renovation project at the Soaring Eagle Casino and Resort is finishing ahead of schedule. 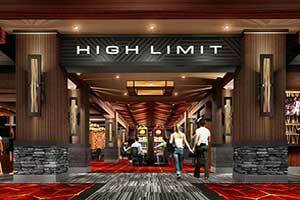 On Friday at 3 p.m. the new VIP lounge offering high limit gaming will celebrate a grand opening. On January 15 of this year construction started on the first phase of the renovation project. The original competition date was scheduled for April 22. However, the quick progression on the project has moved the opening date now to April 06. This makes the project completed 2 weeks before the original competition date. The new space will cater towards the casino resort's VIPs and high rollers. A welcome speech will be given by Saginaw Chippewa Indian Tribal Chief Ronnie Ekdahl and Soaring Eagle's CEO Ray Brenny. The original poker room is the location of the new VIP lounge and high limits gaming. The Slot Palace is the temporary poker room location. It will remain here until the second renovation phase is completed. That is expected to be sometime by the middle of June 2018. In addition to the new poker room location, other renovation plans are being made. This includes the addition of a new sports bar and night club. The smoke free gaming area will be enclosed. The entertainment hall will undergo some updating. The sub shop will be rebranded. Updates will be made to Cyber Quest and Kid's Quest. It is expected that all the renovations will be finished by September of this year. The cost is $26.5 million. This is the largest renovation and construction that the casino resort has undergone outside of the 1997 grand opening. A renovation project and new branding is underway for the Saginaw Chippewa Indian Tribe's Mount Pleasant hotel. The project cost is expected to be in the millions to complete. 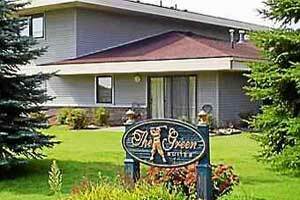 The Green Suites will be renamed The Retreat at Soaring Eagle. The remodeling project includes changes to both the interior and exterior of the building. The aging property is located next to the Soaring Eagle Waterpark and near the Waabooz Run Golf Course. Design plans will make the building feel more comfortable and welcoming. It will also be upscale and offer suites with one, two, and three bedrooms. Guests will be able to rent the rooms for the night or for longer stays. There will be bold colors and minimalist interiors. Art will be provided from photographers and artists from the tribe. A living room, kitchen, and bathroom will be available in every guest suite. Guests will also be able to use the shuttle service for free that will take guests to other Soaring Eagle properties. Visitors to the casino, concerts, and golfers will be attracted to the new hotel. They are also hopeful to attract long term accommodations for visiting doctors, professionals, and professors for Central Michigan University. The total time to complete the project is between six and eight months. Construction is scheduled to begin this summer. The hotel will be open during the renovation. The project will take several phases to complete with one phase opening at a time. Currently there is a $26.5 million renovation project underway at Soaring Eagle Casino & Resort.